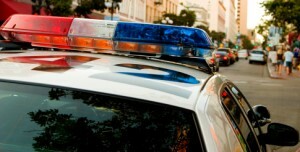 Why Do Law Enforcement Officers Focus on Deterring Drunk Driving? Many law enforcement attempts to stop drunk driving are focused on â€œdeterrence,â€ or encouraging people not to drive when there is a risk they may be arrested on suspicion of breaking DUI laws. Although NH sobriety checkpoints and roving patrols will arrest people they suspect of breaking New Hampshire DUI laws, they are also intended to deter people from driving in the first place if they’ve had any drinks. Deterrence is encouraged for several reasons, according to the U.S. Insurance Institute for Highway Safety (IIHS). First, police estimate that for every suspected drunk driver they arrest, anywhere from a dozen to a few hundred drivers violating DUI laws are never caught. Since police cannot be everywhere at once, they encourage people not to risk driving if they’ve also been drinking, lowering the number of impaired drivers on the road. Second, police patrols use deterrence methods because they work. Research from the IIHS indicates that up to 9,000 accidents are prevented each year because of sobriety checkpoint alerts, ignition interlock devices, and media campaigns around holidays and other events that remind drivers to avoid getting behind the wheel if they’ve been drinking or using drugs. At Tenn And Tenn, P.A., our experienced New Hampshire drunk driving defense lawyers are dedicated to protecting the rights of those charged with drunk driving and related crimes in New Hampshire. We carefully examine each client’s case to build an aggressive defense that fights for the best possible outcome for each person we represent. If you or someone you care about is facing a New Hampshire drunk driving charge, don’t hesitate to call Tenn And Tenn, P.A. today at (603) 624-3700.